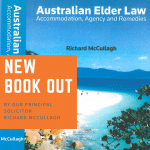 Established in 1972, Patrick McHugh & Co. Solicitors is a Kincumber based firm with extensive experience in providing legal services to the Kincumber area and greater New South Wales. Patrick McHugh & Co Pty Ltd. An incorporated Legal Practice. Liability Limited by a scheme approved under Professional Standards Legislation. Legal practitioners employed by Patrick McHugh & Co Pty Ltd are members of the scheme.